Assistant Professor - Information Technology, Institute of Management Technology, Nagpur since August 2005. 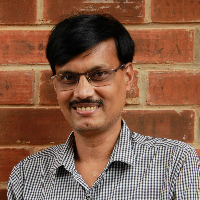 Lecturer in Department of Computer Science, Birla Institute of Technology (BIT), Mesra, Ranchi (2000 - 2005). Visiting faculty at Indian Institute of Information Technology and Management (ABV-IIITM), Gwalior, IGNOU ( Delhi) and Pondichery University (Delhi Center), (1997 - 2000). International workshop on "Future Directions in AAN (FDANN-10)", 12th Nov, 2010, IMT Nagpur, India (Sponsored by International Neural Network Society (INNS)). 2nd International Conference on "IT & Business Intelligence (ITBI-10)", Nov,12-14, 2010, IMT Nagpur , India ( Technically co sponsored by IEEE CIS). Conference on "IT & Business Intelligence (ITBI-08)", Nov, 21-22, 2008, IMT Nagpur , India. National Seminar On "IT & Soft Computing (ITSC)", Nov, 17-18, 2006, IMT Nagpur, India. FDP on "Recent trends in Soft Computing Techniques", 21st Dec, 2004-2nd Jan 2005, Birla Institute of Technology, Mesra, India, Sponsored by ISTE/AICTE, New Delhi. Life Member, International Federation of Information Processing (IFIP) (WG 11.1 - Information Security Mangement). Associate Member, International Society of Management (AISM). IT and Business Intelligence, Excel Publication, 2009, ISBN: 978-81-7446-715-7.
International journal of Data Mining, Modelling and Management, Inderscience Publisher -www.inderscience.com/ijdmmm. R K Jena, R Goswami, "Measuring the Determinants of Organizational Citizenship Behavior", Global Business Review, (Sage Pub. ), (Accepted for Publication), Impact Factor (IF): 0.279(SCI). R K Jena, "Developments in VENET", International Review on Computers and Software (IRECOS), Vol. 8, No.3, pp.710-711, 2013. Impact Factor (IF): 6.14 (Index Copernicus), 0.59(SCI). R K Jena, Musbah M. Aqel, P K Mahanti, " MM-MMAS: An Efficient Energy-Aware Many Many Mapping of 2D Network-on-Chip", European Journal of Scientific Research, Vol.101, No-1, pp.63-74,2013, Impact Factor (IF): 0.713(SCI). R K Jena, " Energy-Aware Node Placement in Wireless Sensor Network using ACO", Journal of Theoretical and Applied Information Technology, Vol. 52, No.2, pp 291-297, 2013. Impact Factor (IF): 1.71 (Index Copernicus), 0.266(SCI). R. K. Jena, "System Level Approach to NoC Design Space Exploration," International Journal of Information and Electronics Engineering Vol;. 2, No: 2, Page 151-155, 2012. R K Jena, R. Goswami, B B Mahapatra, " Determinants of Job Satisfaction among Shift Workers: A Case Study of Ferro-alloy Industries in Orissa", International Journal of Business Competition and Growth (IJBCG), Vol. 2, No.2 page 165 - 180, 2012. R K Jena, Musbah M. Aqel, P K Mahanti, " NoC design space exploration: A PSO based Integrated approach", European Journal of Scientific Research, Vol: 64, No:1 , Page 5-19, 2012. Impact Factor (IF):0.63(SCI). R K Jena, "Green Cloud: Need of the Hour", International Review on Computers and Software (IRECOS), Vol-7, No-1, p, 2012. Impact Factor (IF): 5.74 (Index Copernicus), 0.47(SCI). R.K.Jena, "Grid enabled Business: Promoting Grid Computing to Business", International Journal of Business Competition and Growth (IJBCG), Inderscience, Vol-1, No-3, pp : 217-231, 2011. R K Jena, ICT in Indian Education System, 3rd International Conference on Technology Enhanced Learning, Quality of Education and Education Reform, July 2-4, 2012, Barcelona Spain. R K Jena, P K Mahanti, " An Integrated Approach to NoC Design Space Exploration", International conference on Network, Communication and Computer ( IEEE sponsored) , pp: 321-325 978-1-4244-9550-4/11 ©2011IEEE, March, 21-23,2011. R.K.Jena, Nitya Wadhwa, D G Dey, " Green Computing: A Gate Way to Green Business", 10th International conference on Emerging Global Trends & Future Challenges in Economic development, Accounting & Finance, Information & Communication Technology, Business and Management, Jaipur, India, Jan, 22-23, 2011. Recruiters' Preferences for B-School Campus Placement, a sponsored project by IMT Nagpur, 2009-2010.